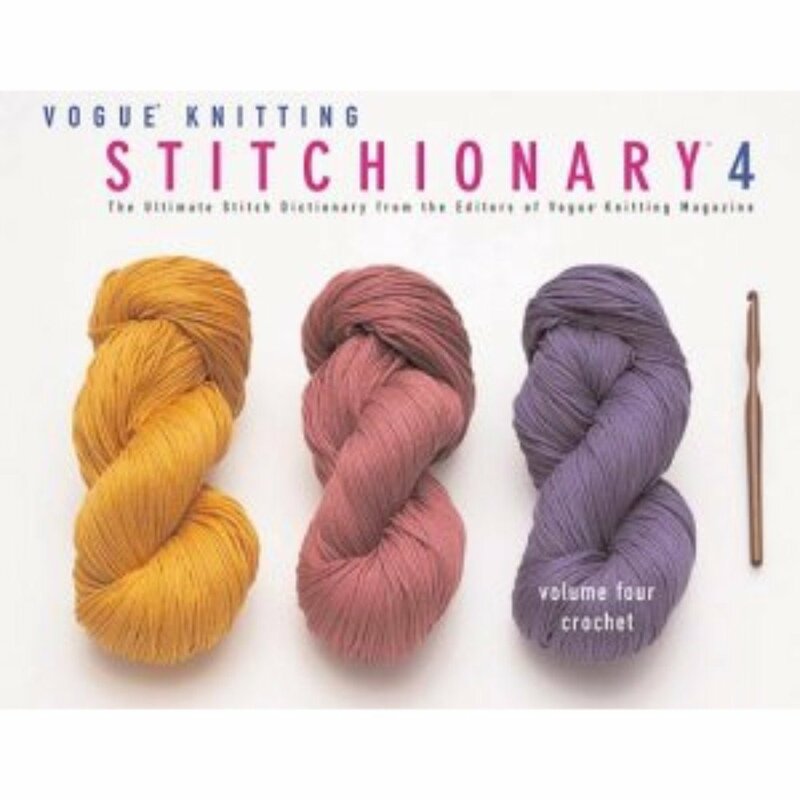 This fourth entry in the best-selling series of Stitchionaries from Vogue® Knitting is just what crocheters asked for! It provides the most comprehensive collection of crochet stitches ever, all culled from the archives of Vogue® Knitting, the most trusted source for knitting and crochet. There’s simply nothing else like it on the market, so it’s certain to become the essential reference in every needleworker’s library. Divided into sections that focus on basic stitches, geometric designs, edgings, lace, unusual motifs, and embellishments, it includes concise instructions, charts, and gorgeous photographs of more than 200 color patterns. Select from a traditional granny square; a lacy rose window; diagonal and cluster spikes; stripes, checks, and ruffles; and a five-petal flower. Crocheters will dip into this inspirational and attractive volume again and again.